Word has been received of the passing of NEA/DL pilot and Delta Pioneer member Captain Ralph Bedley, age 83. 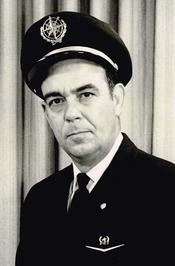 Captain Bedley hired on with Northeast 11-01-1957 and retired with Delta with 35+ years of service, based ATL. He was preceded in death by his wife Eleanor Mae Bedley in March of 2010. Ralph Aubrey Bedley, beloved father, grandfather, great grandfather and brother, died on Wednesday, August 15, 2012 at the age of 83 at his residence in Greensboro, GA surrounded by loved ones. He was born in Winchester, Massachusetts on November 2, 1928, the son of the late Freeman and Catherine D (Faulkner) Bedley. He graduated from Woburn High School in Woburn, Massachusetts and married his high school sweetheart, Eleanor Mae Goding, sixty-four years ago and had six children. In Reading and Westboro, Massachusetts, he was the owner of Greenhouse Plantations specializing in growing sweet peas and carnations. In 1973 the family moved from Reading, Massachusetts to Georgia with the Delta/Northeast merger living in Fayetteville, Griffin and retiring to Lake Oconee in 1999. Ralph was a pilot and president of the Pilots Association for Northeast/Delta Airlines. For a number of years, he owned and operated Yule Christmas Tree Farm in Griffin, Georgia, where he was an active member of the Georgia Christmas Tree Association. After retiring to Lake Oconee, he became a volunteer for the Oconee Regional Humane Society and dedicated many hours assisting with fund raising events. He is of the Methodist Faith. He loved traveling, gardening, reading and spending time with his family and friends. Ralph Bedley is survived by two daughters, Nancy Bedley Tkaczuk of Roswell, GA and Donna Richards and husband Anthony of Brooks, GA; three sons, Jack Bedley and wife Jacqueline of Fayetteville, GA, Thomas Bedley and wife Laura of Fayetteville, GA and Richard Bedley of Eatonton, GA; daughter-in-law, Ginny Bedley Cox of Buckhead, GA; a sister, Sally Bedley Harvey of Athol, MA; fifteen grandchildren; twelve great grandchildren; a number of nieces, nephews, other relatives and long time friend, Pauline Dion of Oxford, GA. He was preceded in death by his wife, Eleanor Mae Bedley; son, Philip Scott Bedley of Buckhead, GA; and a sister, Janet Bedley Allen of Reading, MA. Graveside services will be held Sunday, August 19, 2012 at 4:00 p.m. at Brooks Memorial Cemetery, Price Road, Brooks, GA 30205 with Rev. Buddy Waldron officiating. The family will receive friends Saturday afternoon from 4:00 p.m. to 7:00 p.m. at McCommons Funeral Home. The family requests that memorials can be made to the American Cancer Society, 1684 Barnett Shoals Road, Athens, GA 30605-3007, the National Stroke Association, 9707 E Easter Lane, Ste B, Centennial, CO 80112 or the Oconee Regional Humane Society, 6350 Lake Oconee Parkway, Ste 102, PMB 178, Greensboro, GA 30642. McCommons Funeral Home, 109 W. Broad St., Greensboro, GA, (706) 453-2626, is in charge of arrangements. Visit us at www.mccommonsfuneralhome.com to sign the online guest register. 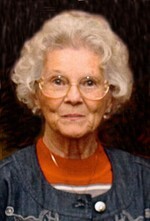 Eleanor Mae Goding Bedley, beloved wife, mother, grandmother and sister, died on Sunday, March 21, 2010, at the age of 79 at her residence in Greensboro surrounded by loved ones. She was born in South Portland, Maine, on Sept. 25, 1930, the daughter of the late Zerfea and Wilfred Goding. She graduated from Woburn High School in Woburn, Mass., and married her high school sweetheart, Ralph Aubrey Bedley, 62 years ago and had six children. In Reading and Westboro, Mass., she was the owner of Greenhouse Plantations specializing in growing sweet peas and carnations. In 1973 the family moved from Reading, Mass., to Georgia with the Delta/Northeast merger, living in Fayetteville, Griffin and retiring to Lake Oconee in 1999. For a number of years, she and her husband owned and operated Yule Tree Christmas Farm in Griffin, Ga., where she was an active member of the Georgia Christmas Tree Association. After retiring to Lake Oconee, she became a volunteer for the Lake Oconee Humane Society and dedicated many hours assisting with fund-raising events. She was of the Methodist faith. She loved traveling, boating, reading and spending time with her family. In addition to her husband, Ralph Bedley of Greensboro, Ga., Eleanor is survived by two daughters, Nancy Bedley Tkaczuk of Roswell, Ga., and Donna Richards and husband Anthony of Brooks, Ga.; three sons, Jack Bedley of Fayetteville, Ga., Thomas Bedley and wife Laura of Fayetteville, Ga., and Richard Bedley of Eatonton, Ga.; a brother, Gilbert Goding and wife Joan of Manchester, N.H.; sister-in-law, Sally Harvey of Athol, Mass. ; 15 grandchildren; 10 great-grandchildren; and a number of nieces, nephews, other relatives and friends. She was preceded in death by a son, Philip Scott Bedley of Buckhead, Ga., sister, Nancy Goding; and brother, Wilfred Goding, both of Woburn, Mass. Graveside services will be held at 11 a.m. Friday, March 26, 2010, at Brooks Memorial Cemetery in Brooks, Ga. The family will receive friends Thursday, March 25, 2010, from 3 to 5 p.m. and from 7 to 9 p.m. at McCommons Funeral Home. The family requests that memorials can be made to the American Cancer Society, 1684 Barnett Shoals Road, Athens, GA 30605. McCommons Funeral Home, 109 W. Broad St., Greensboro, Ga., is in charge of arrangements. 706-453-2626. Visit us at www.mccommonsfuneralhome.com to sign the online guest register.